Magicians are always looking for the best ways to control cards. All they need is a single kind of control that could be used to move cards to really every position in the deck and which allows them to control multiple cards at once as well. But how does any magician know what control works best for them if they do not have that many options? The 'Repulse Control' is one of the card controls that could expand many magicians' horizons so we are very pleased to present you this sleight. This is not the 'Diagonal Palm Shift', 'One-Card Middle Pass', 'Mike's Move', or 'Orbit Control'. There may be some similarities but it is mostly original. Is it somewhat of a diagonal palm shift? "This is not the 'Diagonal Palm Shift', 'One-Card Middle Pass', 'Mike's Move', or 'Orbit Control". He actually came up with it after failing at figuring out the 'Diagonal Palm Shift' from other people's performances. But nah, the 'Repulse Control' may have some similarities but is different and can do much more than a 'DPS'. I have to admit, the top control is a lot of work for what it is in my opinion (though it's still very fluid), however the move itself is ingenious and an amazing bottom control. The teaching and video quality are both great. How can you beat an hour and a half for ONE utility move (and a few extras) as compared to some sites whose downloads are 10-20 minutes. Definitely a lot of bang for your buck. I recommend it. 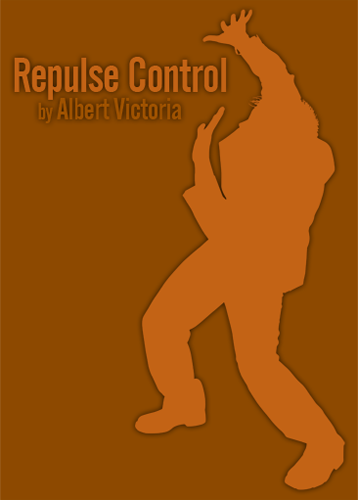 Great to see the Repulse control finally released. Is the control to the top angleproof, and would you consider it to be good as a regular top control? I guess you meant "as a regular bottom control"? The top control isn't quite as good on the angles but it can still be performed in angle proof situations (also explained on the release). Now... if only you would go to the library or another place with faster internet... or wait 12 hours for the download to complete. Quick question: just bought this and it says that the order is pending because the merchant hasn't accepted the payment. I'm relatively new to using Paypal so I was wondering if this means that the payment was successful and I'm clear or if there's something else I have to do to be able to download. You paid by eCheck which means it will take 3-6 work days before the payment gets cleared. As soon as it cleared, you will receive your download link by e-mail. The reason why it does not send you the download link immediately is because Paypal cannot see how much money you have in your bank account. This means frauds would be able to get away without paying at all if they pay with an empty bank account. The moment the payment clears is the moment we received the money, which is some days after the money gets taken off of your account. Hope this clears it up. Thank you for the purchase. The reason why it does not send you the download link immediately is because Paypal cannot see how much money you have in your bank account. This means frauds would be able to get away without paying at all if they pay with an empty bank account. The moment the payment cleared is the moment we received the money, which is some days after the money gets taken off of your account. That clears everything up. Thanks for the reply. I just went to my e-mail and found the download link again...yeahhhhyy ....whew. Thanks Albert,I will be using this. Your videos are the best tutorials out there. I will buy everything you put out with confidence. got it and have mastered 50% of it in one day!! kind of seperate it into two times when doing it right now.